A recent report published by Infinium Global Research on chitosan (Chitin) market provides in-depth analysis of segments and sub-segments in the global as well as regional chitosan (Chitin) market. The report is a comprehensive presentation of trends, forecast and dollar values of global chitosan (Chitin) market. According to the report, the global chitosan (Chitin) market is projected to grow at a CAGR of 15% over the forecast period of 2018-2024. A recent report published by Infinium Global Research on antifouling coatings market provides in-depth analysis of segments and sub-segments in the global as well as regional antifouling coatings market. The report is a comprehensive presentation of trends, forecast and dollar values of global antifouling coatings market. According to the report, the global antifouling coatings market is projected to grow at a CAGR of 7.9% over the forecast period of 2018-2024. A recent report published by Infinium Global Research on fiberglass market provides in-depth analysis of segments and sub-segments in the global as well as regional fiberglass market. The report is a comprehensive presentation of trends, forecast and dollar values of global fiberglass market. According to the report, the global fiberglass market is projected to grow at a CAGR of 6.1% over the forecast period of 2018-2024. A recent report published by Infinium Global Research on refrigeration oil market provides in-depth analysis of segments and sub-segments in the global as well as regional refrigeration oil market. The report is a comprehensive presentation of trends, forecast and dollar values of global refrigeration oil market. According to the report, the global refrigeration oil market is projected to grow at a CAGR of 4.20% over the forecast period of 2018-2024. A recent report published by Infinium Global Research on high density polyethylene market provides an in-depth analysis of segments and sub-segments in the global as well as regional high density polyethylene market. The report is a comprehensive presentation of trends, forecast and dollar values of global high density polyethylene market. 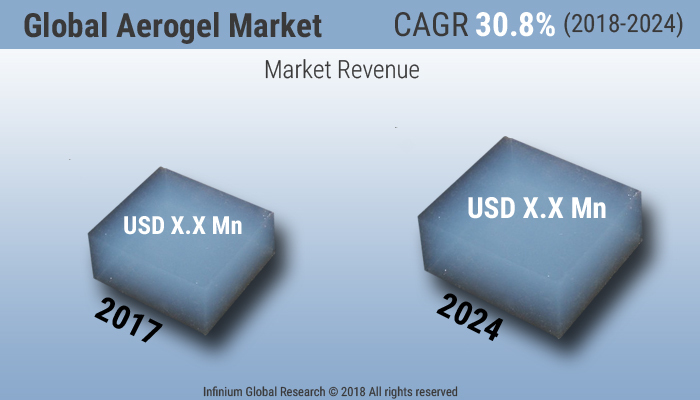 According to the report, the global high density polyethylene market is projected to grow at a CAGR of 3.90% over the forecast period of 2018-2024. A recent report published by Infinium Global Research on inorganic pigments market provides in-depth analysis of segments and sub-segments in the global as well as regional inorganic pigments market. The report is a comprehensive presentation of trends, forecast and dollar values of global inorganic pigments market. According to the report, the global inorganic pigments market is projected to grow at a CAGR of 3.69% over the forecast period of 2018-2024. A recent report published by Infinium Global Research on corn starch market provides in-depth analysis of segments and sub-segments in the global as well as regional corn starch market. The report is a comprehensive presentation of trends, forecast and dollar values of global corn starch market. According to the report, the global corn starch market is projected to grow at a CAGR of 5.40% over the forecast period of 2018-2024. A recent report published by Infinium Global Research on ceramic matrix composites market provides in-depth analysis of segments and sub-segments in the global as well as regional ceramic matrix composites market. The report is a comprehensive presentation of trends, forecast and dollar values of the global ceramic matrix composites market. According to the report, the global ceramic matrix composites market is projected to grow at a CAGR of 10.55% over the forecast period of 2018-2024. A recent report published by Infinium Global Research on coil coatings market provides in-depth analysis of segments and sub-segments in the global as well as regional coil coatings market. The report is a comprehensive presentation of trends, forecast and dollar values of global coil coatings market. According to the report, the global coil coatings market is projected to grow at a CAGR of 5.6% over the forecast period of 2018-2024. 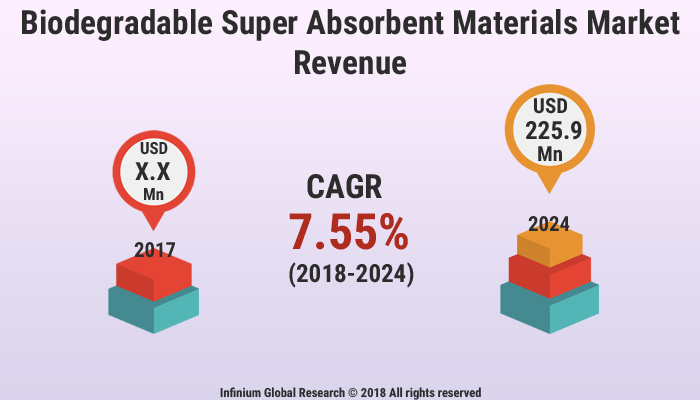 A recent report published by Infinium Global Research on silicone adhesives and sealants market provides in-depth analysis of segments and sub-segments in the global as well as regional silicone adhesives and sealants market. The report is a comprehensive presentation of trends, forecast and dollar values of global silicone adhesives and sealants market. According to the report, the global silicone adhesives and sealants market is projected to grow at a CAGR of 6.1% over the forecast period of 2018-2024. A recent report published by Infinium Global Research on mining chemicals market provides in-depth analysis of segments and sub-segments in global as well as regional mining chemicals market. The report is a comprehensive presentation of trends, forecast and dollar values of global mining chemicals market. 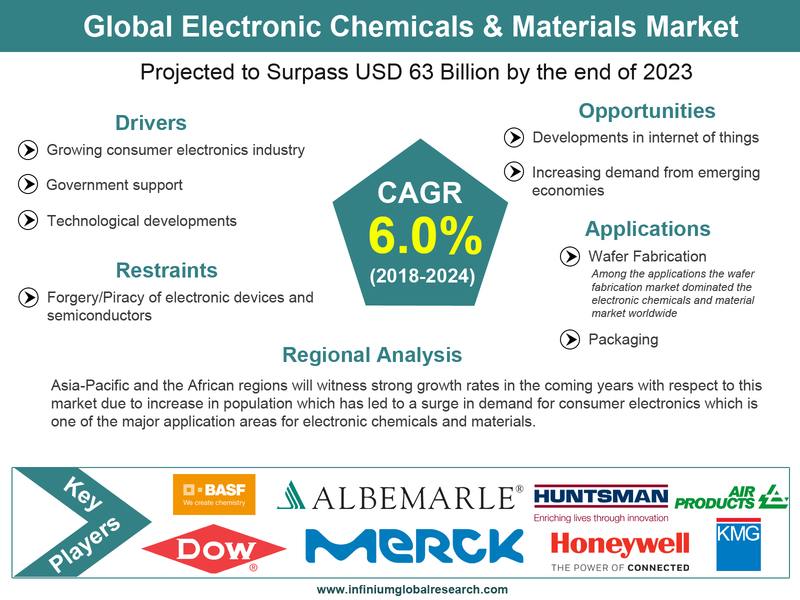 According to the report, the global mining chemicals market is projected to grow at a CAGR of 4.55% over the forecast period of 2018-2024. A recent report published by Infinium Global Research on strategic metals market provides an in-depth analysis of segments and sub-segments in the global as well as regional strategic metals market. The report is a comprehensive presentation of trends, forecast and dollar values of global strategic metals market. According to the report, the global strategic metals market is projected to grow at a healthy CAGR over the forecast period of 2018-2024. A recent report published by Infinium Global Research on biogas market provides in-depth analysis of segments and sub-segments in global as well as regional biogas market. The report is a comprehensive presentation of trends, forecast and dollar values of global biogas market. According to the report, the global biogas market is projected to grow at a CAGR of 12.34% over the forecast period of 2018-2024. A recent report published by Infinium Global Research on biogas plant market provides in-depth analysis of segments and sub-segments in the global as well as regional biogas plant market. The report is a comprehensive presentation of trends, forecast and dollar values of global biogas plant market. According to the report, the global biogas plant market is projected to grow at a CAGR of 7.85% over the forecast period of 2018-2024. A recent report published by Infinium Global Research on the bio-vanillin market provides an in-depth analysis of segments and sub-segments in the global as well as the regional bio-vanillin market. The report is a comprehensive presentation of trends, forecast and dollar values of the global bio-vanillin market. 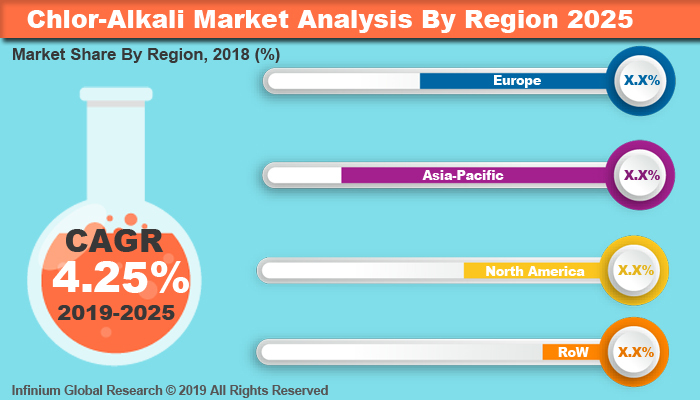 According to the report, the global bio-vanillin market is projected to grow at a CAGR of 7.7% over the forecast period of 2018-2024. A recent report published by Infinium Global Research on acrylate esters market provides in-depth analysis of segments and sub-segments in the global as well as regional acrylate esters market. The report is a comprehensive presentation of trends, forecast and dollar values of global acrylate esters market. According to the report, the global acrylate esters market is projected to grow at a CAGR of 5.9% over the forecast period of 2018-2024. A recent report published by Infinium Global Research on linseed oil market provides in-depth analysis of segments and sub-segments in global as well as regional linseed oil market. The report is a comprehensive presentation of trends, forecast and dollar values of global linseed oil market. According to the report, the global linseed oil market is projected to grow at a CAGR of 3.2% over the forecast period of 2018-2024. A recent report published by Infinium Global Research on insect growth regulators market provides in-depth analysis of segments and sub-segments in global as well as regional insect growth regulators market. The report is a comprehensive presentation of trends, forecast and dollar values of global insect growth regulators market. According to the report, the global insect growth regulators market is projected to grow at a CAGR of 6.7% over the forecast period of 2018-2024. A recent report published by Infinium Global Research on biocides market provides in-depth analysis of segments and sub-segments in the global as well as regional biocides market. The report is a comprehensive presentation of trends, forecast and dollar values of the global biocides market. According to report the global biocides market is projected to grow at a CAGR of 5.1% over the forecast period of 2018-2024. A recent report published by Infinium Global Research on the bio-based construction polymers market provides in-depth analysis of segments and sub-segments in the global as well as regional bio-based construction polymers market. The report is a comprehensive presentation of trends, forecast and dollar values of the global bio-based construction polymers market. According to the report, the global bio-based construction polymers market is projected to grow at a CAGR of 10.4% over the forecast period of 2018-2024. A recent report published by Infinium Global Research on bioactive materials market provides in-depth analysis of segments and sub-segments in the global as well as regional bioactive materials market. The report is a comprehensive presentation of trends, forecast and dollar values of global bioactive materials market. According to the report, the global bioactive materials market is projected to grow at a CAGR of 10.3% over the forecast period of 2018-2024. A recent report published by Infinium Global Research on Bio Based Polyethylene Terephthalate (PET) Market provides in-depth analysis of segments and sub-segments in global as well as regional bio based polyethylene terephthalate market. The report is a comprehensive presentation of trends, forecast and dollar values of global bio based polyethylene terephthalate market. According to the report the global bio based polyethylene terephthalate market is projected to grow at a CAGR of 10.8% over the forecast period of 2018-2024. A recent report published by Infinium Global Research on bentonite market provides in-depth analysis of segments and sub-segments in global as well as regional bentonite market. The report is a comprehensive presentation of trends, forecast and dollar values of global bentonite market. According to the report, the global bentonite market is projected to grow at a CAGR of 5.1% over the forecast period of 2018-2024. 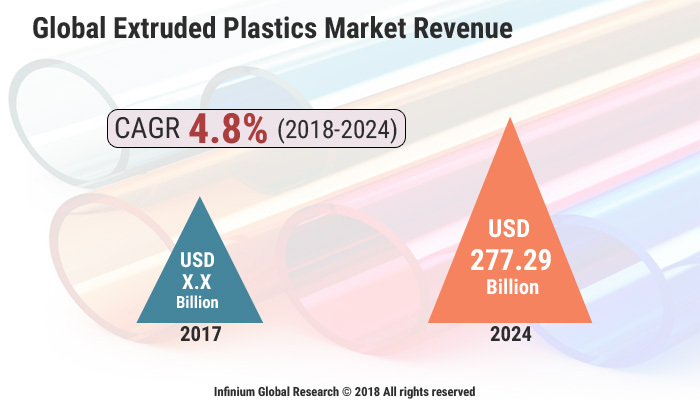 A recent report published by Infinium Global Research on bio-based polypropylene market provides in-depth analysis of segments and sub-segments in global as well as regional bio-based polypropylene market. The report is a comprehensive presentation of trends, forecast and dollar values of global bio-based polypropylene market. According to the report, the global bio-based polypropylene market is projected to grow at a CAGR of 5.3% over the forecast period of 2018-2024. A recent report published by Infinium Global Research on industrial lubricants market provides in-depth analysis of segments and sub-segments in the global as well as regional industrial lubricants market. The report is a comprehensive presentation of trends, forecast and dollar values of global industrial lubricants market. According to report the global industrial lubricants market is projected to grow at a CAGR of 4.5% over the forecast period of 2018-2024. A recent report published by Infinium Global Research on neoprene market provides in-depth analysis of segments and sub-segments in global as well as regional neoprene market. The report is a comprehensive presentation of trends, forecast and dollar values of global neoprene market. According to the report, the global neoprene market is projected to grow at a CAGR of 6.3% over the forecast period of 2018-2024. A recent report published by Infinium Global Research on signaling devices market provides in-depth analysis of segments and sub-segments in global as well as regional signaling devices market. The report is a comprehensive presentation of trends, forecast and dollar values of global signaling devices market. According to the report the global signaling devices market is projected to grow at a significant CAGR over the forecast period of 2018-2024. A recent report published by Infinium Global Research on linear low-density polyethylene (LLDPE) market provides an in-depth analysis of segments and sub-segments in global as well as regional linear low-density polyethylene (LLDPE) market. The report is a comprehensive presentation of trends, forecast and dollar values of global linear low-density polyethylene (LLDPE) market. According to the report, the global linear low-density polyethylene (LLDPE) market is projected to grow at a CAGR 6.1% over the forecast period of 2018-2024. A recent report published by Infinium Global Research on silicon carbide market provides in depth analysis of segments and sub-segments in global as well as regional silicon carbide market. The report is a comprehensive presentation of trends, forecast and dollar values of global silicon carbide market. According to report the global silicon carbide market is projected to grow at a healthy CAGR over the forecast period of 2018-2024. A recent report published by Infinium Global Research on paraffin wax market provides in-depth analysis of segments and sub-segments in global as well as regional paraffin wax market. The report is a comprehensive presentation of trends, forecast and dollar values of global paraffin wax market. According to report, the global paraffin wax market is projected to grow at a CAGR 3.8% over the forecast period of 2018-2024.